A lot of automotive manufacturers rollout concept cars that are pretty out there with no intentions of producing them. 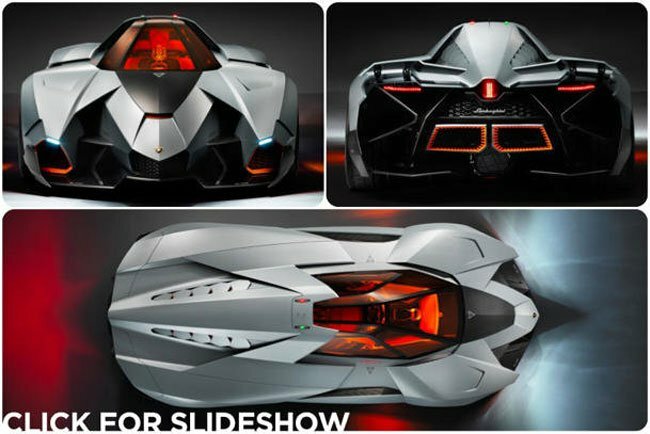 When it comes to out there concept cars from automotive manufacturers such as Lamborghini, who makes production cars that are crazier than some manufacturers concept cars, when you saying while concept car takes on new meaning. Lamborghini has unveiled a one-of-a-kind single seat sports car to celebrate its 50th birthday. Lamborghini calls vehicle the Egoista. Egoista means selfish and considering the car has only one seat, the name makes a bit of sense. The design of the exterior of the vehicle looks like something Spiderman would drive and is intended to look like the Apache attack helicopter. The headlights are hidden inside some of those ducts and the car uses a 600 hp V10 engine. Lamborghini says that it has no intentions of actually producing this automobile and the single version that it did build is not for sale. I hope someone puts this thing on a track so we can get an idea of exactly how well it performs. Inside the car, most instruments and been replaced with heads up display and the canopy of the cockpit slides forward to allow the driver to enter and exit the vehicle. The steering wheel has to be removed to get out of the vehicle, which is common for racing cars. This is a very interesting vehicle and I can’t help but wonder what will happen to it after the birthday celebration is over.